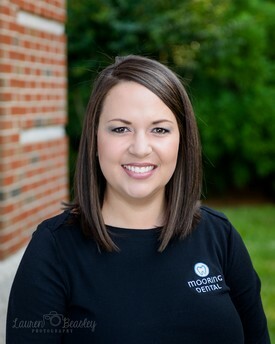 Jessica joined Mooring Dental in March of 2012 and has worked in dentistry since 2003. She loves that through being a Dental Hygienist she has the opportunity to meet a lot of people and develop fun relationships, all while providing excellent care and educating her patients on their oral health. 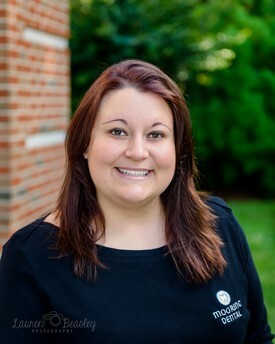 Jessica's outgoing personality along with her skill and experience as a Dental Hygienist will help put you at ease. When she is not spending time with her family, she enjoys singing on her church worship and praise team, reading and going to the beach. Jessica and her husband have triplets (2 girls and 1 boy). 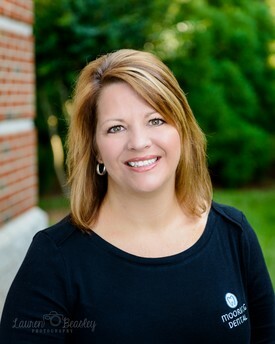 Sam started her career in dentistry in 1991 and has been a hygienist since 2002. She started working at Mooring Dental in September of 2014. Sam loves her job because she says she "loves helping people by educating them about their oral health and how it relates to their overall health. At Mooring Dental, I feel like we go above and beyond to provide quality care to all of our patients. I feel like our patients are part of our family." When she is not at work, she enjoys spending time with her 2 kids and her husband. She also enjoys shooting, hunting, going to concerts, spending time at the beach, camping, cooking and baking. 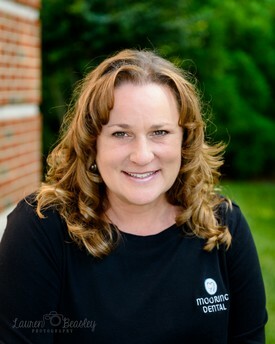 Laurie Jane has been working in dentistry since 1986 and she has been a Dental Assistant at Mooring Dental since 2003. She feels privileged to work at Mooring Dental which is locally and family owned. 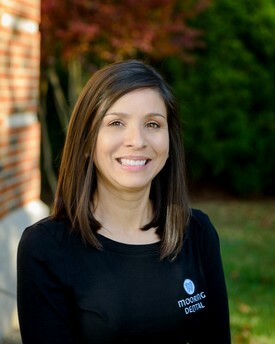 The best thing about working at Mooring Dental for her is she enjoys working with some of the best technology available in the dental field. She feels our doctors and dental team are very compassionate and knowledgeable. When she is not at work, she enjoys doing arts and crafts, gardening, spending time with her family and playing with her 3 dogs. 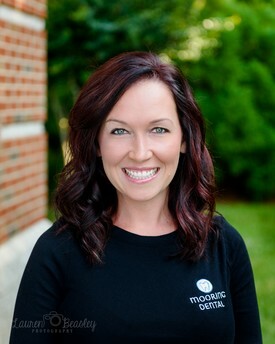 Kristen has worked in dentistry since 2003 and has been at Mooring Dental since 2013. She takes great satisfaction in knowing that she can help patients coordinate their treatment and finances so they can have a healthy, beautiful smile. When she is not at work, she enjoys spending time at the lake with her family, cheering her boys on at their football and baseball games, and spending quality "girl time" with her 2 daughters. You may be surprised to learn that in her quiet time she loves to sit down with a good book, unless it's hunting season. During hunting season you will find her in the woods with her bow and arrow looking for a BIG BUCK!